I love the stars with the nine patches inside. Great quilt! 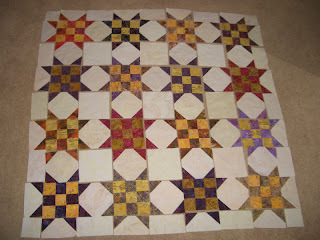 Love your stars (love the title even more) and I even have some of these blocks started myself. The stars are charming, love them. Love the Sugar Plum Stars! 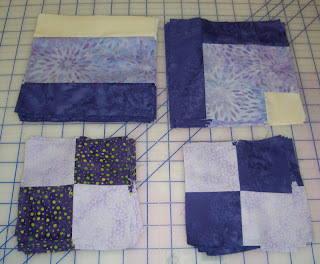 And your mystery quilt looks like it is going to be beautiful, based on your fabrics. I've never done a mystery quilt. Maybe someday! I like your work. Thanks for sharing!